This article was originally published in the North Dakota Planning Association newsletter. In recent years it has been common to attend planning conferences and hear about advancements in automobile technology that are expected to occur within the foreseeable future. Ten years ago, these advancements may have sounded like something out of a science fiction novel but are now becoming reality and are expected to have a profound impact on our lives and in our communities. I, probably like most planners in North Dakota, have been somewhat hesitant to expect these technologies to be commonplace anytime soon, but the truth is these technologies have already emerged in our state. One such technology is electric vehicles (EVs). Electric vehicles are already having impacts on transportation and land use planning in North Dakota. Nationwide, EV sales increased 29.1% between 2017 and 2018. The North Dakota Department of Transportation (NDDOT) is considering electric vehicle trends in planning efforts, and there are land use implications for local communities as well. To better understand how EVs have public impact, it is necessary to have a basic understanding of how these vehicles are charged. There are three standardized levels of EV charging facilities used throughout the country (see inset). Most EVs sold in the United States utilize a standardized vehicle plug, although some EV automobile manufacturers utilize their own proprietary vehicle plugs and others utilize either a US or Asian plug for Level 3 charging. This means that there is not a one-size-fits-all for charging stations. Level 1 is considered slow charging and operates on a 15 to 20-amp breaker on a 120-volt AC circuit. This is comparable to the wall plug used for most common household appliances but has a special electric outlet for the car connection. These chargers are typically used at home by EV owners. Level 1 charging stations typically take 8 to 12 hours to fully charge. Level 2 is considered medium charging and operates on a 40 to 100-amp breaker on a 208 or 240-volt AC circuit. The amount of energy this charger uses is comparable to an electric clothes dryer. These chargers also feature a special electric outlet for the car connection. 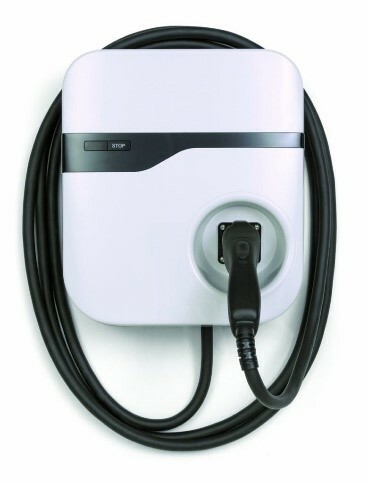 Level 2 chargers are used for both home or commercial service purposes and typically take 3 to 4 hours to fully charge. Level 3 is considered fast or rapid charging and operates on a 60-amp or higher breaker on a 480-volt or higher three-phase circuit with special grounding equipment. Level 3 charges are also commonly known as DC Fast Charge. These chargers are typically characterized by industrial-grade car connection electric outlets that allow for faster recharging times of 30 to 45 minutes. Level 3 chargers are expensive to purchase and install the necessary utility infrastructure associated with them. Therefore, these chargers are used primarily for commercial charging stations and are not likely to be used for personal use. For city and county planners it is important to consider appropriate locations for the placement of EV charging stations. For most, this task probably means looking at land-use classifications and making zoning interpretations. The most common knee-jerk interpretation may be to consider EV charging stations to be similar to gas stations which may have greater restrictions imposed on siting and location. However, in comparison of EV charging facilities and gas stations, the potential conflicts, nuisances and concerns for each are very different. A great resource for local planners is the American Planning Association’s Zoning Practice circular from July 2010 titled “Practice Electric Vehicle Infrastructure.” This comprehensive circular, although somewhat outdated due to the rapid change occurring in EV technology, helps planners better understand the technology and planning considerations for these charging facilities. The cities of Bismarck and Fargo have received notice of a proposed project to install a privately owned and managed proprietary EV fast charging facility in their communities. In addition, the same company is planning to install several more across the I-94 corridor that will help that company fill a void between Minneapolis, Minnesota, and Billings, Montana. For City of Bismarck planning staff, that meant looking at current zoning regulations and determining any conflicts that might exist. It also meant determining which zoning district each type of charging station should be allowed in. Research, consulting with peer communities, and reviewing land-use classifications proved integral to determining appropriate zoning districts for the placement of these facilities. City of Bismarck planning staff determined Level 1 and Level 2 EV charging facilities pose low impacts and thus should be allowed in all zoning districts by right as an ancillary use. However, the more service-oriented nature of Level 3 charging stations led Bismarck to determine that these facilities would be best classified as a light service use and therefore should only be permitted in downtown, commercial, and industrial zoning districts. Another consideration for EV charging stations are parking requirements and potential vehicle stacking. It may be good practice to co-locate these facilities with other service/commercial uses in private parking lots. Some EV charging facilities may want to sign their charging station stalls for use only for EV charging purposes. Ultimately, each community will need to determine if they will require designated parking specifically for EV charging purposes or allow co-location with other uses. At this time, due to the low level of electric vehicle ownership compared to gas-powered vehicles, vehicle stacking is probably not a concern, but as the share of EVs on the road increases, this may be something for planners to monitor and amend zoning regulations to address in the future. Some municipalities allow EV charging facilities in public locations either as a curbside charging facility or within parking spaces within public parking lots/garages. Providing curbside charging stations may be an economic incentive to bring more consumers to certain parts of town. Charging stations provided within parking garages are a natural fit, but each community must determine the best way to provide the service, whether it be complementary, provided as an additional fee, or privately managed. However, it also creates fairness concerns especially if the charging infrastructure is privately owned and conducting business within public right-of-way. There are some safety concerns associated with EV charging equipment, specifically power cord trip hazards. In residential neighborhoods, in which most homes have a garage and off-street parking area, this risk is low. However, in older established areas in which parking is often on-street, the charging cord could create trip risks over sidewalks within the right-of-way. For charging facilities in private parking lots, parking garages, and curbside (if a community chooses to allow this type of encroachment), design review should ensure that charging station cords are placed in locations that minimize trip hazards. EV travel range is limited by current battery efficiency. Most of today’s EVs can travel median distances of 114 miles with a low end of 58 miles and a max of 335 miles, but this can be reduced by cold weather extremes. Although their travel range has increased 56% since 2011, and will continue to improve as battery technology advances, the need for strategically located charging facility infrastructure along travel corridors is paramount. Short trips around town typically do not pose any range anxiety since EV owners can charge their vehicle overnight at home and easily complete most home-based trips (home to work, home to school, home to grocery) on a single charge. The challenge is when EV owners need more reliable charging station infrastructure for long-distance travel. Whereas most gasoline vehicles can travel the 196 miles distance between Bismarck and Fargo, EV users have a greater risk of being stranded without recharging capabilities in Jamestown. If your job requires that you travel long distances across this rural state, you would undoubtedly have range anxiety when purchasing an EV if the charging infrastructure is not available to safely make your trip. In comparison to nationwide EV charging facility availability, North Dakota is lacking in the charging infrastructure needed to ensure regional and interstate travel. 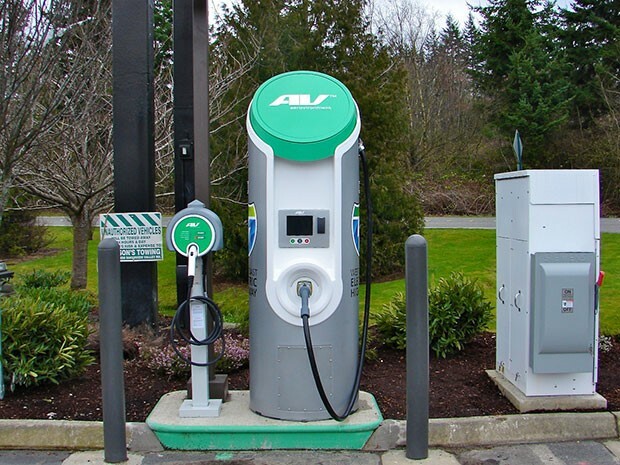 Several sites throughout the state do provide some basic charging facilities free of charge. Only one Level 3 charging facility exists in the state. The lack of Level 3 charging facilities means that a trip across the state could add an additional 12 to 24 hours just for recharging using only Level 1 or Level 2 chargers. This lack of Level 3 charging facilities means that regional and interstate EV owners will avoid travel within North Dakota, and that North Dakota residents who might consider purchasing an EV face a strong disincentive to do so. To illustrate the lack of EV charging infrastructure within North Dakota compared to the nation, check out this interactive crowd-sourced map (https://pluginamerica.org/get-equipped/find-an-ev-charging-station/). In 2016, FHWA established a program to designate alternative fuel corridors across the United States. There are two progressive designations for each alternative fuel type that a corridor can be designated: “Signage Pending” and “Signage Ready”. In 2018, NDDOT pursued designation of I-94 and I-29 as EV “Signage Pending.” This designation means that NDDOT will now develop a plan to make the corridors ready for the next designation. Once EV charging stations are in place at no greater than 50-mile increments, then NDDOT can pursue the “Signage Ready” designation. The NDDOT is working with key energy, automotive industry, and government stakeholders to encourage the development of an electric vehicle coalition within the state. The purpose of the coalition would be to proactively identify a variety of issues related to electric vehicles including but not limited to electric fueling/charging stations. North Dakota Century Code defines an electric public utility as “a privately-owned supplier of electricity offering to supply or supplying electricity to the general public” (NDCC 49-03-01.5). Jerry Lein, Public Utility Analyst for the North Dakota State Public Service Commission, notes that as currently written, this definition would also apply to any company that buys electricity from an electricity provider and then turns around and sells it to an EV owner. This means that a privately owned, publicly available EV charging station would be considered a public utility under the current legal definition and thus subject to all rules and regulations governing public utilities. There are ways this can be avoided, such as having publicly owned stations, if the electricity is provided directly from the power company to the end user, or if the electricity is provided at no charge. However, if EV charging stations become more common, state legislators may need to consider amending the definition of a public utility or consider exemptions for EV charging stations. In contrast, gasoline stations are not considered a public utility. There are certainly economic benefits for communities that have EV charging facilities – specifically, in sales tax revenue captured locally from long-distance commuters. The length of time it takes to recharge an EV has been steadily reducing; however, even the most efficient Level 3 charging facilities take approximately 30-45 minutes to fully charge, compared to gas stations which take less than 5 minutes to refuel. The longer EV charging times means that charging stations located near commercial and service amenities will be more attractive to road-weary travelers. EV charging facilities located next to coffee-shops, restaurants, movie theaters and retail shopping could capture more sales tax revenue from regional and interstate EV travelers. In addition, communities with hotels that offer charging facilities for their guests have more opportunity to capture hospitality tax compared to communities that do not. Will Hutchings is a planner for the City of Bismarck and co-editor of the NDPA Newsletter.